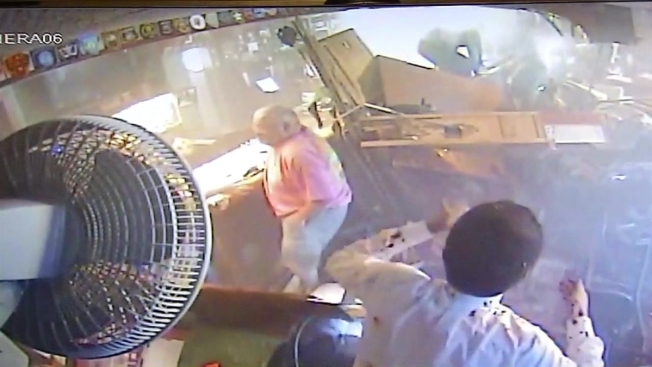 A car crashed into a bar and restaurant in Upper Marlboro Tuesday afternoon, leaving 10 people inside injured and turning a quiet lunch into chaos, officials say. The car smashed into Babes and Boys Tavern at Top of the Hill as dozens of people ate lunch. In an instant, they found themselves trapped between the ceiling and the tables. Two people were taken to a hospital with serious injuries, Prince George's County fire department spokesman Mark Brady said. Five people have less serious injuries and two people were hurt but declined being taken to a hospital. Information on the status of the 10th person was not available immediately. 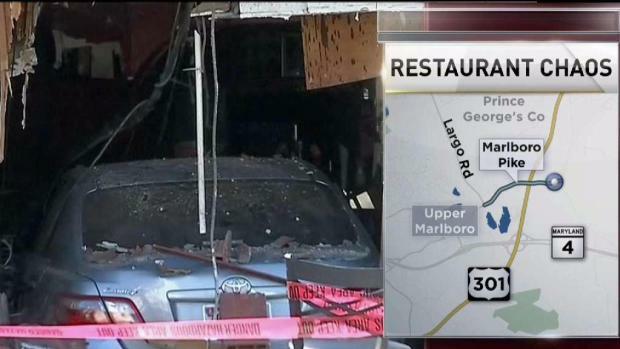 A light-colored sedan smashed through the side of the restaurant on the 15900 block of Marlboro Pike, News4's Tracee Wilkins reported from the scene. "There was absolutely no warning," said retired county Judge C. Philip Nichols, who was eating lunch at the time. The ripped left sleeve of his dress shirt dangled from his arm, dotted with blood. In the moments after the crash, medics took away one man with blood running down his head. Another man was placed in a neck brace. "My brakes went out," she said. "I panicked. That's how I ended up over that hump right there." The car appears to have slammed into the restaurant "at a fairly high rate of speed," Brady said. Retired county Judge C. Philip Nichols, a firefighter and the firefighter's spouse were among the people inside.